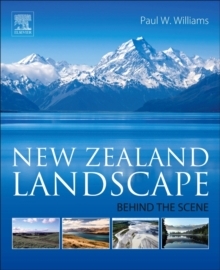 New Zealand Landscape: Behind the Scene tells the story of New Zealand through the subject of geomorphology, a branch of earth science at the interface of geology and geography. Geomorphology is informally described as the `science of scenery', and as with every science, ideas evolve as the research frontier advances. Users will find an early 21st century interpretation of the New Zealand landscape, an interpretation that rests on, and draws from, a rich foundation of ideas bequeathed by predecessors who have had the privilege of exploring, researching, and enjoying this corner of the Pacific.